After nearly 50 years of organized feminism it is the time to rethink. While the gender-gap in the western countrys decreases steadily, some countrys still strengthen the inequality of the sexes. This means, the variety of sexism became a lot wider. Feminism is largely associated with the female experience, meaning men often feel excluded from the movement. While this isn't the intention, it's understandable how some may feel this way. As a result, we are working to tackle the issues together, for every gender, with all people included in the conversation. How can someone claim for equal rights by excluding the half of the people? We stand for a movement where every single person is welcome to participate. How can you include someone by giving him individual rights? We want to work for the same rights and possibilities for everybody, in the eyes of the law as well as the people. How can someone try to improve the economy while excluding every second talent? We see the variety of genera as an opportunity and not as a restriction. We want people to be judged by what they do, not, who they are. We are all the same people, the same amount of human. We should start working together to achieve the most. 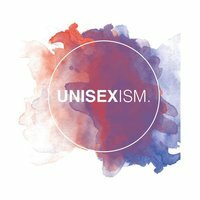 For a UNISEXIST world. 1. We want a world without gender stereotypes and gender separation. 2. We want a world where sexual harassment is condemned and not tolerated. 3. We want a world focused on sustainability, especially human sustainability. 4. We want a world where everyone's personal issues and needs are tolerated and considered. 5. We want a world where every person of every gender has the same rights, same duties and same value. 6. We want a world where every single person can live free and express themself. 7. We want a world where gender discrimination is never used, especiallyfor personal benefit. 8. We want a world where personal gender is no issue in public life. 9. We want a world without Sexism. 10. We want a UNISEXIST world.